The wait is over. Hino has made Class 5 Hybrids a reality. The Hino 195h Diesel-Electric Hybrid cab-over represents a giant leap for alternative fuel commercial vehicles in North America. 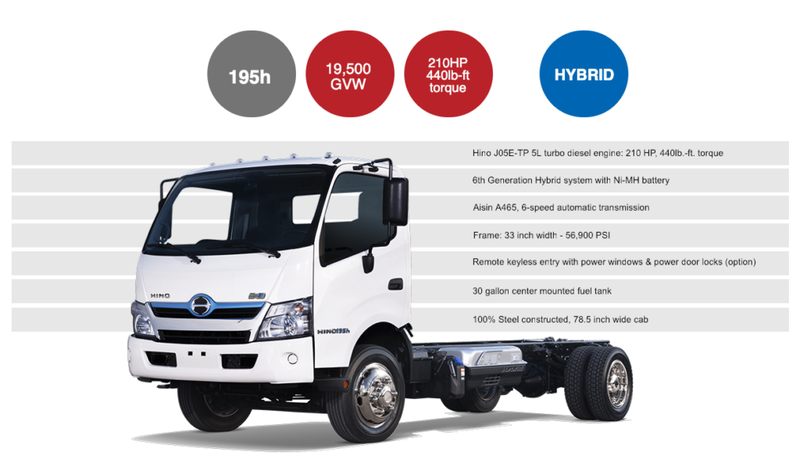 In fact it was designed from the ground-up for the U.S. and arrives with the benefit of six generations of technology evolution and more than 10,000 production vehicles already on the road around the world – solidifying Hino as the leader in commercial truck diesel-electric hybrid technology. Hino makes the Diesel-Electric Hybrid a viable option in the U.S. commercial truck industry for the first time. Our COE model stacks-up from both an environmental and a financial standpoint – the only commercial Hybrid in the market to do so. We’ve got your back. Covered that is. When you purchase a Hino, you don’t need to worry about breaking down. Hino offers a truly comprehensive warranty program that exceeds industry standards and won’t leave you stranded. Every conventional model Hino is backed by a powerful basic vehicle warranty plan for 24 months with unlimited mileage. 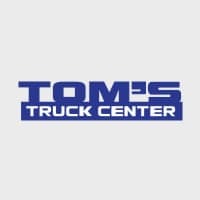 Not only is each truck covered against defects in material and workmanship, but we also cover such items as air-conditioning, radio, block heater and clutch-all repaired free of charge within the warranty period. Hino Trucks offers a premier, industry-best engine warranty of 5 years, 250,000 coverage. In addition to the standard items covered by Hino Trucks’ engine warranty, the new coverage has been expanded to cover key components such as fuel injectors, the fuel injection supply pump and the turbo charger. Hino Trucks’ proprietary J08 engine is the industry’s most-awarded medium-duty engine and our warranty backs up the talk. Hino 4/5 cab-over engine models are covered by a basic vehicle warranty plan of 36 months / unlimited mileage, and it gets better. Hino Trucks provides extended engine warranty coverage for 5 years / 200,000 miles. This coverage extends to the Aisin transmission, rear axle, and hybrid system components including the battery. Please call 248-699-9390 if you have any questions regarding our recall campaigns. A specialist is available between the hours of 8:30 a.m. – 5:00 p.m. Eastern Time.